Out of the box, your iPhone will not shoot 4K videos. If you want to up your video quality to go beyond 720p or 1080p HD, you'll have to do it manually. However, not all iPhone models can actually film in 4K resolution. If you have an iPhone 6 or below, you're out of luck, but if it's the iPhone 6S or newer, you can rock the 4K no problem. To be extra clear, the only iPhone models you can get 4K video recording on include the following. If you have one of these devices, keep reading to see everything you need to know about recording video in 4K resolution with the Camera app. How Do You Enable 4K Videos? 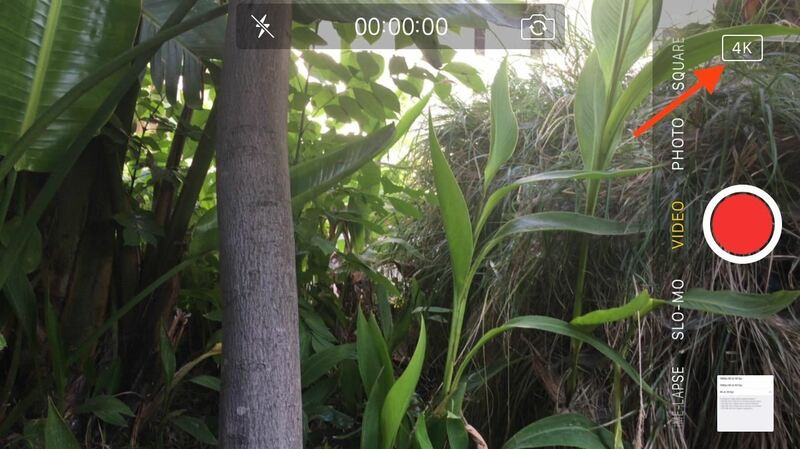 Open the "Camera" preferences in Settings, then tap "Record Video." Next, select the quality that you want to record in. There are four or six different options to choose from, one or three of which are for 4K resolution. The higher the frame rate, the smoother the footage, and the larger the video file (more on that below). * These options are only available for the iPhone 8, 8 Plus, and X models. How Much Storage Do 4K Videos Use? The page seen above provides you with a convenient breakdown of how much memory each recording quality will take for a one-minute video. Spoiler alert: it uses a lot of storage. If you have a 16 GB iPhone, you may want to avoid 4K videos altogether, as it would only take about 40 minutes of recording at 4K 60 fps to fill up your entire hard drive. Which Quality Are You Recording In? Within the video camera's interface, in the Camera app, you can see the quality you're recording in right next to the shutter button. However, if you're recording at the default 1080p at 30 fps settings, this indicator will not be present. To keep it simple, 4K means more pixels (4096 x 2160); approximately 8 million more pixels than 1080p (1920x1080). To help you see the difference, here is a comparison of the default quality versus 4K (note that you will need a display capable of viewing 4K videos in order to really see the difference, and make sure to select "4K" from the quality menu). So, are you planning to shift to 4K-only recording on your new iPhone, or will 1080p be just fine for you? Sound off in the comment section below. News: Why would I buy a video camera. Tell me, Canon, please.